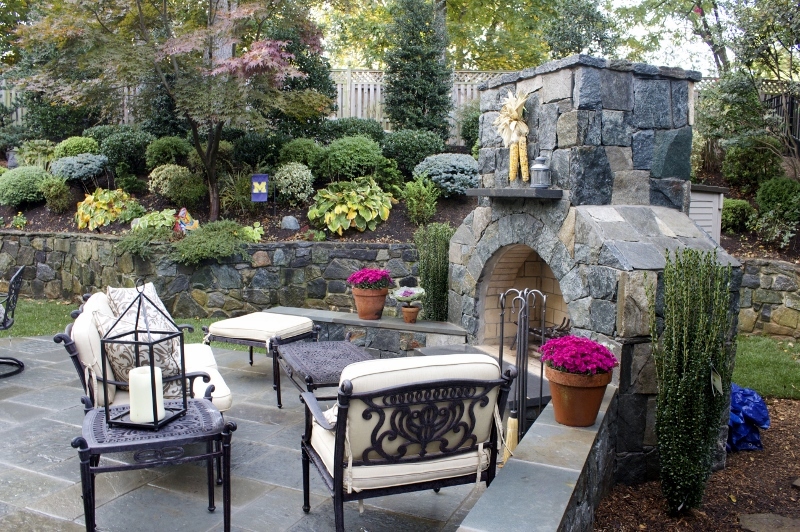 Patios of today have evolved to become the central hub for outdoor entertainment in backyards all over Northern Virginia. With a high return-on-investment and the ability to transform a landscape both stylistically and functionally, it’s easy to understand why. The difficulty comes in making your patio design unique when your neighbors have many of the same items on their wish lists that you do. Tiered levels. Two-tiered patios offer plentiful space to incorporate all the amenities you want, and the layout can easily be customized to offer a truly unique look. Tiers can contain arbors or pergolas, seating walls, fire features, and water features. A hot tub or outdoor kitchen can also be incorporated into the design, depending on what you want from the finished result. Water features. Whether in a tiered patio or not, water features can be used to provide unique visual interest in a way that nothing else truly can. Waterfalls can be installed as part of a wall that surrounds your patio while fountains can be implemented anywhere in the design to meet your unique needs. You can also install a natural stream with views that can be seen from the patio to create an outdoor living space with calming qualities. Fire pits. A fire pit can serve as an intriguing focal point to the design or provide warmth and added light by your seating or dining area. Not only does this allow for unique visual interest, but it also helps to extend use of your landscape far past Virginia’s summer days. Contact Us for More Unique Patio Ideas! If you’re ready to start designing your patio today or are looking for more creative patio ideas that are well suited to your outdoor space, O’Grady’s Landscape can help. 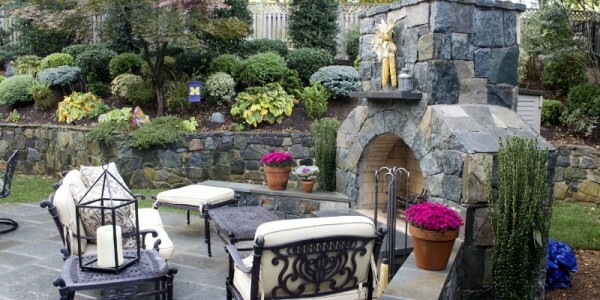 We’ve been providing landscape design and hardscaping services to Northern Virginia homeowners since 1991 and have installed all types of patios in all types of designs. We can provide a detailed assessment of your property and discuss your goals with you to come up with the best creative patio ideas for you. Let’s get started! Contact us online or by phone at 703-533-5001 to request a consultation and get your free quote today. Our Service Area Covers: City of Falls Church, North Arlington, Great Falls, McLean, and Vienna, VA.